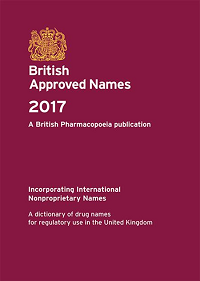 The BP also publishes the British Approved Names (BAN) book. The BAN book is published every 5 years and supplements are published annually. To apply for a BAN, fill out the application form and send it to bpcom@mhra.gov.uk.